The crop protection market is constantly changing due to increased regulations, the growing demand for higher yields to feed the world’s expanding population, and the resistance plants have continued to build over the years to certain chemical ingredients. However, the introduction of new active ingredients for crop protection products is decreasing due to the high costs of development and registration. To solve these challenges, the market is trending toward combining active ingredients and sustainable inert components. These formulations ultimately increase transportation efficiency and reduce costs. While alternative technologies such as bio-pesticides and bio-stimulants offer future promise, they secure only a small share of the crop protection options for growers today. Pine chemistry-based products are a growing category of sustainable inerts that combine well with active ingredients and effectively provide crop nutrition and protection for growers. Among the crop nutrition and protection products currently available, suspension concentrate (SC) and extruded water-dispersible granule (WDG) formulations provide major advantages to growers. SC formulations are easy-to-use, water-based liquids with reduced environmental and human exposure, compared with solvent or powder formulation types. These formulations present additional challenges to chemists as higher solids and combinations of active ingredients become more desired. There are many surfactants and dispersants that perform well at lower solid concentrations, but fail as the solids increase. As the water is reduced, the particles can more easily agglomerate, causing poor suspension stability, and thus, decreased shelf life. Polymeric dispersants are an alternative that offer excellent suspension stability and can often be used to achieve the desired results. Kraft lignosulfonates with high molecular weights are an ideal polymeric dispersant option. Thanks to the high molecular-weight nature of kraft lignosulfonates, they can provide steric stabilization in SC formulations, which is the dominating stabilization mechanism in concentrated suspensions. The long polymeric chains of kraft lignosulfonates form a physical barrier between particles. In addition, kraft lignosulfonates can interact with active ingredient particles via hydrogen bonding or π-π stacking. The optimal products are also relatively hydrophobic. High molecular weight and hydrophobicity can also create problems during the milling step, as they contribute to higher solution viscosities. As the viscosity increases, milling efficiency (or the time to reach small particle sizes) also increases. This extends the overall processing time, resulting in higher manufacturing costs. Additionally, increased processing time can cause undesirable foaming and chemical degradation of the active ingredients if they are sensitive to temperature. One way to avoid increased processing time is to combine two kraft lignosulfonate dispersants in a ratio that gives good suspension stability, while maintaining lower viscosities. 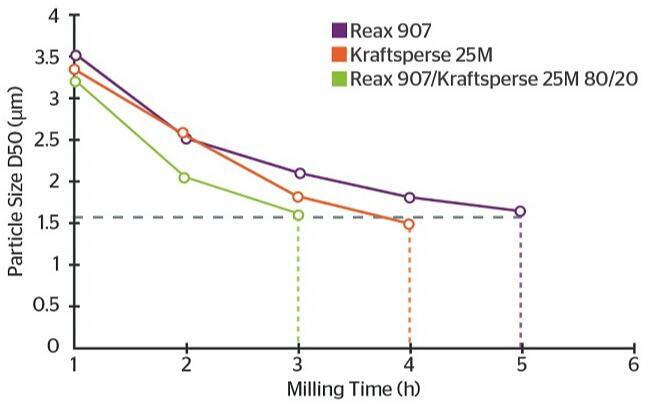 By using a combination of Reax® 907, a high molecular weight hydrophobic dispersant manufactured by Ingevity, and Kraftsperse® 25M, a hydrophobic dispersant with a low molecular weight also made by Ingevity, improved milling efficiency can be achieved(As shown in figure 1). 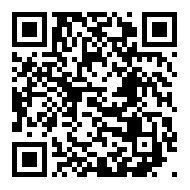 The ratio of Reax 907 to Kraftsperse 25M should be 4:1 for optimal performance. One of the most important components influencing the quality and stability of SC is the dispersant. With a low degree of sulfonation, kraft lignin adsorbs strongly to the active-ingredient surface and the high molecular weight offers the best steric stabilization. Extruded WDGs is another rapidly growing formulation type that provides quicker dissolution, while maintaining pallet integrity. These formulations have a high loading of active ingredients, which reduce transportation costs. WDGs offer less exposure to the grower than powders, are generally easier to handle, and are a lower-cost manufacturing process compared to other granulation options. Formulation chemists are presented with challenges in achieving the desired performance properties of high-suspension stability with rapid disintegration of the granules. These two properties are diametrically opposed, making the selection of a dispersant difficult. To achieve rapid disintegration, hydrophilic dispersants with low molecular weights are good choices but have poor suspension stability. 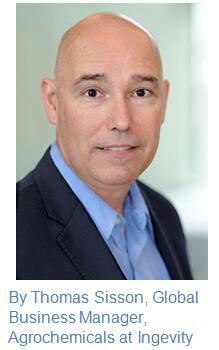 Combining two dispersants can often be the best option. Reax® 88B, a hydrophilic low molecular-weight kraft lignosulfonate, can be used with a small amount of a hydrophobic high molecular weight dispersant, such as Ingevity’s Kraftsperse® 8828, to balance the suspension stability and disintegration of extruded WDGs (As shown table 1). The ratio of high sulfonation to low sulfonation of approximately 5:1 is important to balance the disintegration as measured by the number of inversions, as well as the suspension stability. The total dispersant required will vary with the active ingredients and other components but will generally be between 6 to 12% of the total formula. WDGs with 80% active ingredients can be achieved using this combination approach. Another interesting approach to formulations of extruded WDGs is to combine two polymeric dispersants with vastly different chemistries. Kraft lignosulfonates do not effectively lower surface tension, as they are true dispersants. A class of polymeric dispersants with better wetting properties is naphthalene sulfonate condensates. Both are available as powders and are used in dry- and water-based crop protection products. Ingevity’s Kraftsperse® DD-8 is a product that combines a kraft lignosulfonate and naphthalene sulfonate condensate using a spray-dry process. This gives different properties than if the two were either dry mixed or dry milled together. One measurable property difference can be seen in the wetting times in an atrazine 80% wettable powder. The wetting time is significantly reduced by the co-spray dried Kraftsperse DD-8, compared with the dry blend of the two dispersants (As shown in table 2). This also aids in the suspension stability and disintegration of extruded WDGs. Enhanced wetting times often lead to better disintegration. In a chlorothalonil 80% WDG, the disintegration and suspension stability are improved with the co-spray dried Kraftsperse DD-8 (As shown in table 3). 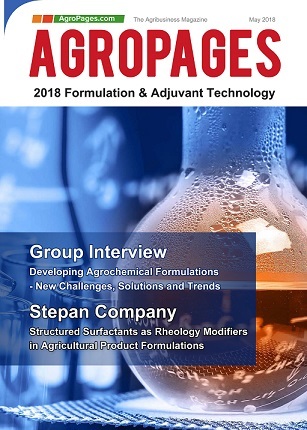 As pesticide formulations continue to become more complex with higher performance demands, combining dispersants can enhance properties of products and technologies. SC and WDGs made with Ingevity’s dispersants perform well across formulations with high ionic strengths and at broad pH ranges, giving growers the desired product performance.